TutorMandarin offers 1-on-1 online Chinese classes taught by certified Mandarin tutors through state-of-the-art software on PC and Mobile app. Come try the best way to learn Chinese online! 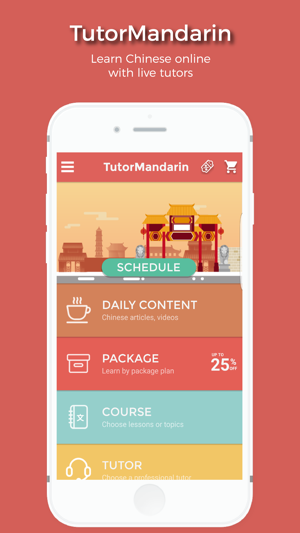 The TutorMandarin app comes with fully built-in courses designed around HSK standards, transparent lists of professional tutors, as well as a constantly updated section of Chinese videos, articles, and flashcards. User receive a personalized learning experience thats starts with a free trial and language evaluation and continues with student resume thats tracks their learning statistics. Put together, TutorMandarin is a full one-stop-shop for the Chinese learner. Whether studying for business, travel, education, the HSK, or daily communication - TutorMandarin has the tutors, education system, and technology to help Chinese learners of all levels and goals. 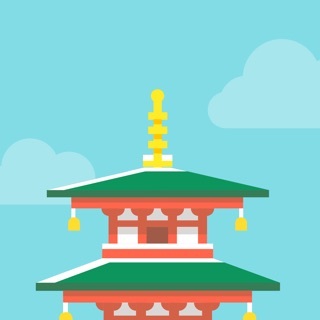 Enjoy a free 50 minute trial class and full language evaluation with sign up! Why wait? Learn Chinese today!